The ripple effect of a government shutdown has pushed rowers from the Potomac River. WASHINGTON – The ripple effect of a government shutdown has pushed rowers from the Potomac River. 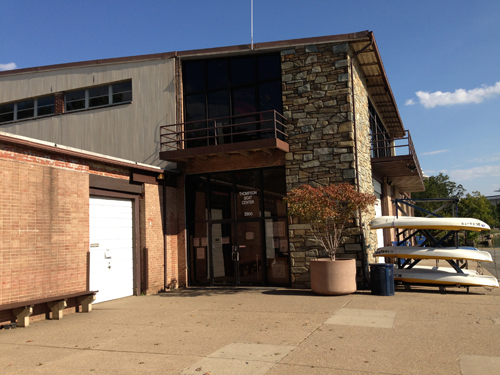 Multiple high schools rent space at the Thompson Boat Center in Georgetown. But like other places controlled by the National Park Service, it closed Tuesday morning. “The [boathouse closure] came as sort of a shock to everyone,” says Alistair Bell, a rower for Walt Whitman High School. Teams scrambled on Tuesday to remove their equipment and find a new place to train. “We can take our property out, but we can’t continue to use the facility,” says Lee Rumpf, head coach of the Thompson Boat Center junior men. “We called in as many favors as we could, and luckily a head coach at Gonzaga High School has lent us rack space at the Anacostia Boathouse,” he says. But even with a temporary space, the number of rowers and the practice time will be limited. Rumpf says he’ll take 12 rowers instead of 30 because there’s only so much room at the boathouse in Anacostia. Rowers themselves are hitting the gym and running trails in lieu of the water. “We could be out there right now getting strokes in, getting stronger and faster, but now we’re doing nothing,” Bell said after the boats were relocated. Follow @WTOPSports and @WTOP on Twitter.